Kids are riveted by this delightfully interactive educational toy. 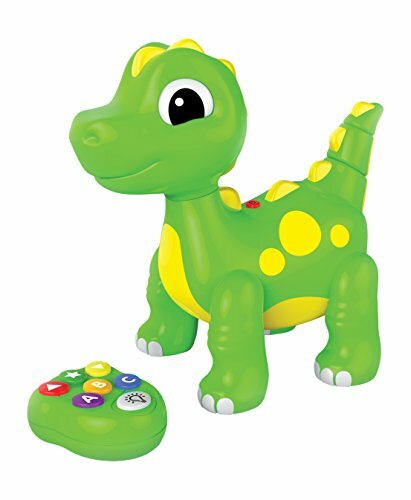 Remote Control ABC Dancing Dino responds to the touch of various buttons on the accompanying handheld remote: walking and talking, dancing, singing, and playing music. He even asks questions and confirms whether kids have selected the correct answer. 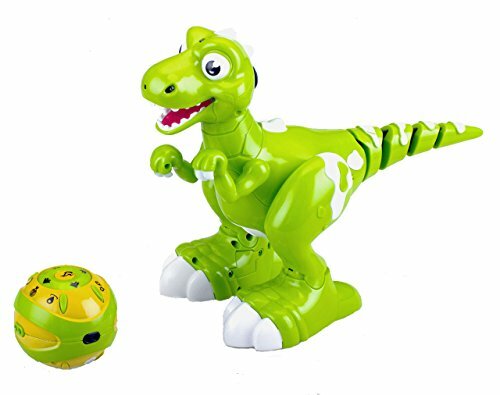 His wiggly, waggly tail and enthusiastic dance moves (accompanied by humorous phrases like 'I'm a prehistoric dancing machine! '), ignite particularly gleeful responses from young ones. Fun songs and sound effects keep children happily engaged, laughing, dancing, and singing along to familiar tunes. Between Action Mode and Let's Learn Mode (both of which are triggered by remote control) ABC Dancing Dino covers a lot of play territory. 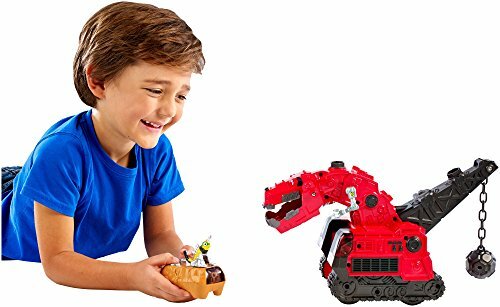 It’s Dinotrux fun with best buddies Ty Rux and Revvit! Reptool Control Ty Rux is motorized and features easy-to-use RC control. 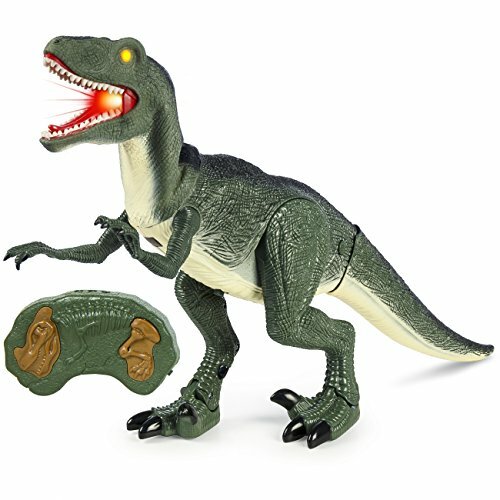 Just push the button on the Revvit remote control for five dino-mite modes of play: Find Revvit mode allows you to point the Revvit remote control at Ty Rux as he follows you around; and also in Find Revvit mode, when you place the remote control within an eight-foot distance of Ty Rux, watch as he scans the area to find his buddy Revvit. Standard RC mode can make Ty Rux go forward, backward, or make a directional change by pressing the Dance button. Then get ready for swinging dance moves when you press and hold the Dance button to see Ty Rux spin in circles while smashing and crashing with his wrecking ball. 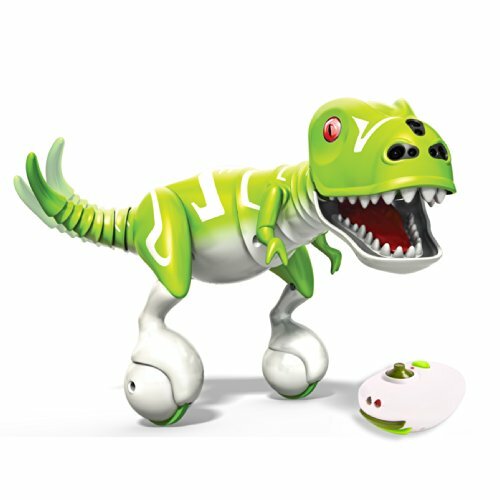 And with over 40 sounds and phrases unique to the Ty Rux character, it’s motorized RC fun that comes to life! Includes Ty Rux vehicle and remote control with detachable Revvit. Colors and decorations may vary. Dinosaurs are back and roaming the Earth! The 32" long Roboraptor X is impressive in size and features an advanced fusion of technology and wild personality. 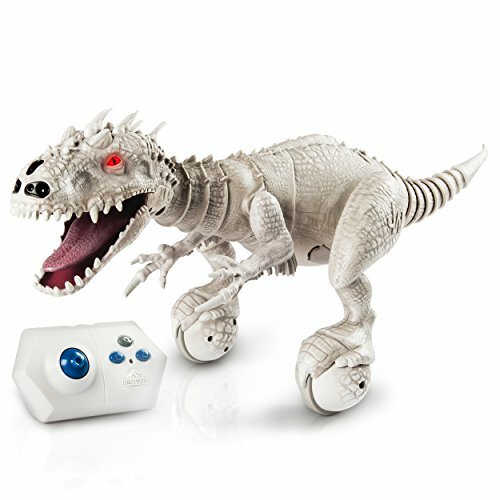 Bring Roboraptor X robot to life with the included remote control, or with the RoboRemote IR Dongle for your mobile device. 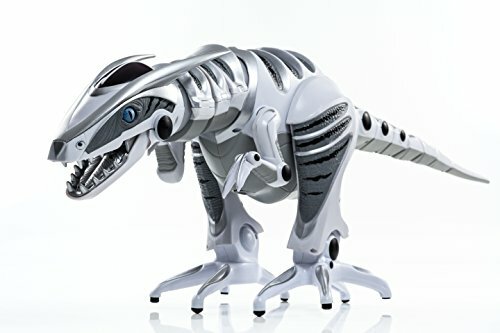 Download the easy-to-use Roboraptor X App on your iPhone, iPad, or Android smart device to decide where this white and gray robot dinosaur will roam and what will be its next meal! 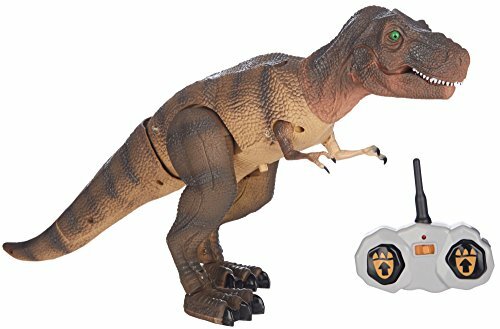 The age of dinosaurs has truly returned with Roboraptor's advanced sound, infrared vision, and touch sensors, plus artificial intelligence, biomorphic motions, and autonomous roaming mode. Batteries required: 6 "AA" & 3 "AAA" (not included); 3 "LR44" (included). 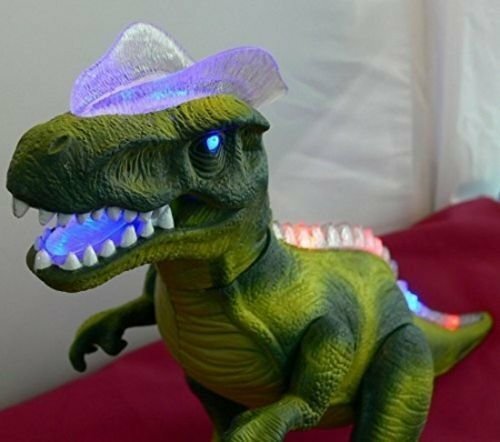 https://www.youtube.com/playlist?list=PLf_GonhU1wcao8SJm-PUAsQC3AfJTihrA Click the link to see more Awesome Dinosaur Toys! Thanks! 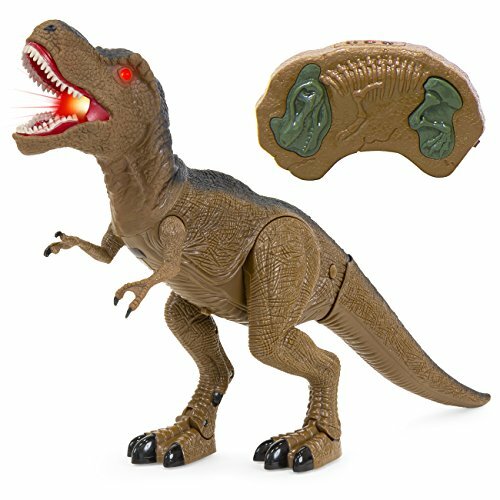 Compare prices on Remote Control Dino at ShoppinGent.com – use promo codes and coupons for best offers and deals. Start smart buying with ShoppinGent.com right now and choose your golden price on every purchase.